Pharmacy Technicians are directed by pharmacists in their execution of three primary functions in the pharmacy: the maintenance of medication and inventory control, the service of patients, and the administration of the practice. Through their valuable contributions, they give pharmacists the freedom to focus on clinical duties and patient care. 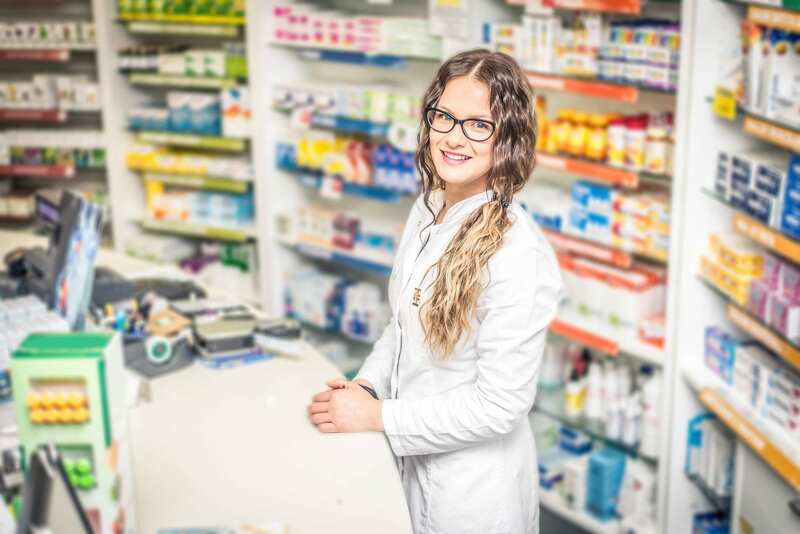 Many pharmacy technician programs and employers educate adults to fill expanded roles in the practice, so they not only improve the operation but patient safety. The expanded role might include delivering medications to nurses and physicians, preparing sterile solutions, and recording medication information on patient profiles. The demand for pharmacy technicians and the role they play in community and institutional pharmacies are without question. Technicians who pursue national certification through agencies like the Pharmacy Technician Certification Board are a valuable commodity to the practice and have the competency to assume a broader role to enable pharmacists to focus on patient-centric activities. 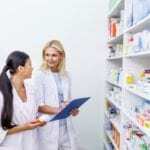 Pharmacy technicians work in retail pharmacies, hospitals, research laboratories, nursing homes, wholesale drug companies, and pharmaceutical manufacturing companies. Wilson Community College prepares pharmacy technician students to assist licensed pharmacists with the dispensing of medication in a healthcare setting. The 92-hour curriculum provides students with the knowledge and hands-on skills to perform the role and function of a pharmacy technician. Course topics include anatomy and physiology, pharmacology, dosage calculations, maintain inventory, counting, pouring, mixing, and weighing medications, customer care, reading and interpreting prescriptions, preparing prescriptions for dispensing, and sterile and non-sterile compounding. Upon successful completion of the training, graduates will be eligible to take the national PTCB exam to become a Certified Pharmacy Technician in North Carolina. In addition to tuition, students are responsible for technology fee, student security, malpractice insurance, accident insurance, and other fees. The pharmacy technician program at Wayne Community College admits 15 students with each cycle. In just two semesters, experienced instructors prepare students to start a career in health. At the conclusion of the program, students will have earned 37 credit hours. Graduates receive a Pharmacy Technician diploma and can go on to succeed on the PTCB exam. They may also use the diploma to pursue further education for entry into other careers in health. Admission is competitive and based on highest point count. Persons who have been convicted of a felony or drug or pharmacy-related misdemeanor may not be eligible for PTCB certification. Tuition for residents costs $1,262 and includes activity fee and technology fee. Additional costs include textbooks, uniforms and lab coat, immunizations, physical exam, background check, drug screen, transport to the clinical site, and other fees. The Pharmacy Technology Program at Johnston Community College prepares adults to work under the supervision of a pharmacist to dispense medications and legally perform other duties as directed by the pharmacist and employer. The program is accredited by the American Society of Health-System Pharmacist (ASHP)/ Accreditation Council for Pharmacy Education (ACPE) and complies with the standards for pharmacy technician programs. Throughout the program, students will learn how to prepare prescription medications, update patient profiles, mix intravenous solutions, maintain inventories, package medications in unit-dose forms, gather information to monitor drug therapy, and prepare insurance claims. Students must complete 40 credit hours to graduate with a Pharmacy Technology Diploma. Course topics include an introduction to pharmacy, pharmacy practice, pharmacy calculations, mathematical measurement and literacy, sterile products, pharmacology, community pharmacy, trends in pharmacy, pharmacy professional practice, and pharmacy clinical. Provide documentation of health insurance. In-state tuition and fees cost $2,997.